When England's two most successful football clubs go head-to-head, shockwaves are sent across the world. Undoubtedly the most anticipated fixture in the football calendar, with everything at stake - quite simply, defeat is not an option. Separated by little more than the East Lancs Road, it's not just a geographical rivalry, but one spawned on glory dating back to the first encounter in 1894. Historically, Liverpool and Manchester were both parts of Lancashire, where industry battles took place long before the locals were comparing football honours. Historians suggest the rivalry between the two cities dates back to the building of the Manchester Ship Canal, which meant ships would bypass Liverpool and carry their trade through to Manchester. At the time of completion it was the longest ship canal in the world. 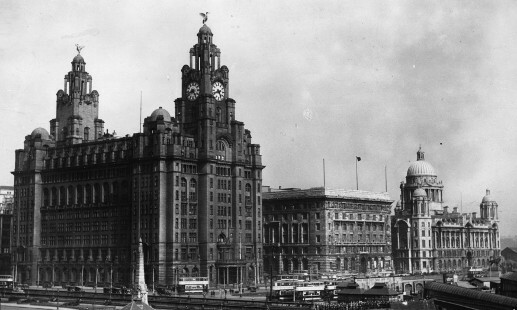 Others say Scousers had a romantic perspective; they looked out to sea with their back turned to their Mancunian counterparts and viewed their thriving docks as the gateway to North America while disregarding the grubby cotton mills of Manchester. In terms of football, early fixtures were rarely the heated contests we witness today. It is often overlooked that Sir Matt Busby - who managed United to five league titles, two FA Cups and the European Cup - actually made 122 appearances for Liverpool and captained the Reds from 1939-40. The Busby Babes won back-to-back league titles in 1955-56 and 1956-57 meaning they drew level with the men from Anfield on five championships, before an air tragedy in Munich in 1958 took the lives of 23 people, including eight players, temporarily halting United's rise to the summit of English football. On four occasions between 1964 and 1967, the league title went back and forth between Anfield and Old Trafford - and it was during this period when the clubs last dealt with each other in the transfer market. Phil Chisnall signed for Bill Shankly's side in 1964 and he remains the last man to move directly between the clubs. Of course, the likes of Paul Ince and Michael Owen had stints with both a Liver Bird and Red Devil on their chests, and both sets of supporters let their feelings be known about crossing the divide. 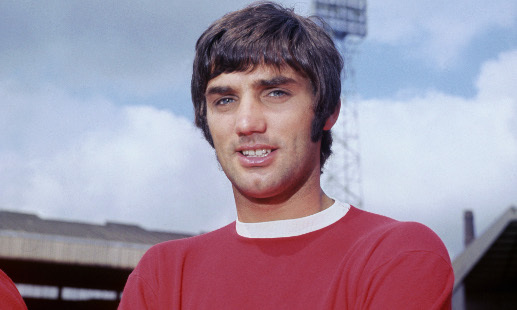 United legend George Best labelled the contest a 'clash of the titans', and claimed in his autobiography that there was no bigger occasion in domestic football than United against Liverpool. United's title victory of 1967 would be their last for 26 years - a period dominated by Liverpool, who romped to 11 championships and four European Cups. United's main joys came through getting one over the Merseyside men in cup competitions, such as the 1977 FA Cup final and 1979 FA Cup semi-final replay at Goodison Park. That United title barren-spell mirrors what Liverpool have experienced since 1990, when the Reds clinched their last League title, as we now approach a 25th year without the honour. On the other hand, United's dominance since 1990 has seen them lift 13 championships and two Champions Leagues. Once again, cup glories such as the 2003 Worthington Cup and dumping United out of the 2006 FA Cup en-route to lifting the trophy softened the blow slightly for Liverpool. During United's decline in the 1980s, it could be argued Liverpool's main competition came from Merseyside neighbours Everton, whereas during the 1990s it would be Man United against Arsenal which would determine the destination of the major honours. However, even throughout those periods of deterioration, the public were still enthralled by the fixture, even if it was just a sub-plot of trying to dent each other's title hopes. It has been a contest which has decorated football supporters' memories with moments of agony and ecstasy. Who can forget Ronnie Whelan's sumptuous curling extra-time strike in 1983 past Gary Bailey to clinch the Milk Cup, before sending Bob Paisley up the Wembley steps to lift the trophy which would later be joined by the League Championship in the Anfield cabinet. Then there's the heartache - such as in May 1996 when, in the 85th minute, Eric Cantona shifted his body into an unorthodox position before striking the ball through a sea of green and white Liverpool strips, agonisingly missing every outstretched leg and torso before crashing into the net to clinch United their second double in as many years. It's a rivalry which boasts about glory past and present. It's the fixture where historic legends of the game have gone head-to-head. It's a contest where the greatest football icons from our shores have met - Shankly, Busby, Best, Dalglish, Robson, Rush, Keane and Gerrard. The finest overseas talent the modern game has had to offer have battled it out - Schmeichel, Hyypia, Cantona, Alonso, Ronaldo, Torres, Van Persie and Suarez. Names etched into football folklore, not only for the supporters of each club, but anybody who has been fortunate enough to sample this unique fixture over the years. Today promises to bring yet more drama to the never-ending tale of Liverpool and Manchester United. 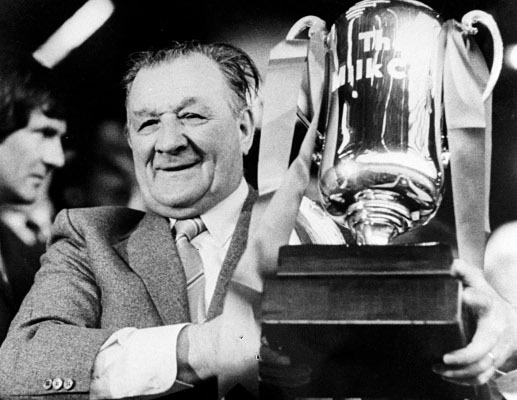 Only three times since 1972 have neither Liverpool nor United finished in the top two of the league table - in 1980-81, 2003-04 and 2004-05 - and even during those three campaigns another piece of silverware was still taken home by one of the North West giants. Liverpool paraded the European Cup and League Cup in 1981, whilst Manchester United lifted the FA Cup in 2004 and Liverpool claimed the Champions League in 2005. Second place is still in touching distance for both clubs and a win today could give them the momentum required to propel themselves up the table as we approach the climax of the season. One thing is for certain, to be a success, both clubs need each other more than they would like to admit, because throughout their decorated pasts the back-drop has often been this riveting, thrilling rivalry which simply can't be ignored.